"Disney Junior Dance Party On Tour" Presented by Pull-Ups, the high-energy live concert experience that brings beloved characters from the #1 preschool television network's hit series to life, is adding 3 new shows to its 2018 fall leg. New to the tour this fall will be the star of Disney Junior's most recent hit, "Fancy Nancy," plus a live on-stage appearance by Bingo and Rolly from "Puppy Dog Pals." The fall tour will kick off Sept. 14 in Hershey, PA with a select number of tickets remaining in major markets including New York, Los Angeles, Chicago and Boston. The inaugural leg of the tour ran from March 2018 to May 2018 and sold out 55 shows across 54 cities. Read more about the fall leg, here. Tickets for the newly added shows are on sale beginning Friday, Aug. 10. A limited number of tickets remain for each of the previously announced dates. Visit the Events Page for complete ticket details. 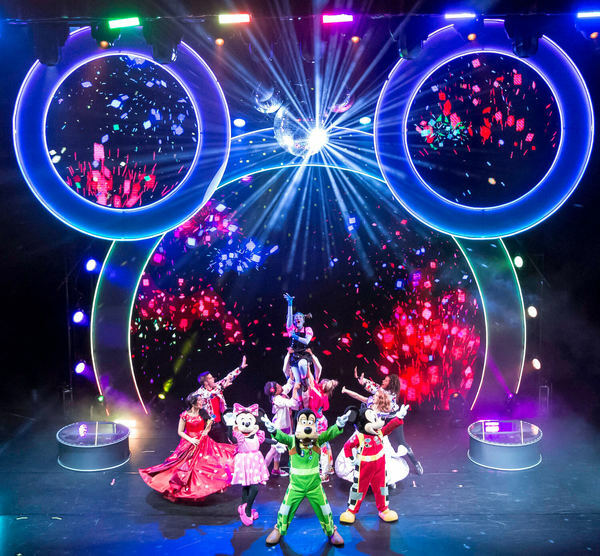 Featuring 20 songs from Disney Junior's hit series, as well as two brand new original songs for the tour, "Disney Junior Dance Party On Tour" is a 90-minute interactive concert experience for kids and families. Directed by Amy Tinkham (ABC's "Dancing With The Stars"), produced by Jonathan Shank of Red Light Management, and represented by Creative Artists Agency (CAA), the concert is elevated by state of the art LED technology, a giant Mickey-shaped DJ booth, high-tech scrim screens that transport characters into the theater and 4D special effects. The tour also includes a 15-minute intermission sponsored by the Pull-Ups Brand so parents and caretakers can take their Big Kids for a bathroom break. A new twist on the classic "I'm A Big Kid Now" jingle written by Beau Black ("Mickey and the Roadster Racers," "The Lion Guard") will play ahead of the intermission to celebrate Big Kids.